Where were you, Catherine, when I needed you? If I had been able to lay my hands on this book way back in the sixties when my second daughter, Kate, was at school, I would perhaps have spared her (and me and Enid, her mother) a lot of anguish – and, more importantly, Kate herself. She was always a robustly cheerful child, happy and popular at the local school in London, but one day, at the age of eight, she came home in tears. We guessed someone had bullied her. True. but we would never have guessed who did the bullying: the teacher. The teacher was angry with Kate and made her stand on a desk in front of the class while the teacher denounced her for her crime. Which was? Copying words from her diary into her school exercise book. And why was Kate doing that? Because she had trouble spelling and to avoid being rebuked for frequent misspelling she wrote into her diary the correct version of words she commonly misspelled and then copied out these when necessary in the course of an English exercise. She had imagined the teacher would be pleased by the effort, but the teacher implied it was cheating. The teacher had never bothered to find out why Kate went to all this trouble so she humiliated Kate for copying her own writing. Enid was herself a high school science teacher. She knew Kate was bright. She investigated and suspected Kate might be suffering from a rarely diagnosed condition called dyslexia. Everybody knows about dyslexia now but they didn’t then in London. The educational establishment refused to categorize dyslexia as a learning disability. So, Enid helped in setting up the North London Dyslexia Association which lobbied, raised money and started to run summer schools for these children. Eventually, the British educators conceded that dyslexia was not a sign of stupidity or stubbornness and slowly began to explore treatments. In this, Britain was catching up with America. The condition was recognized earlier in the US but it is not easy for parents, still less the child, to appreciate that slowness in reading and talking clearly might have a specific cause and that some emotional disturbances may have their root causes in the bafflement and anxiety of dyslexia. emagin how vare hrd it is kop wthe scuksion of randumlie mangelled wurds. Catherine Hirschman had yet to be born when my Kate struggled with her learning disability. All these years later we know so much more now but for all our greater awareness dyslexia may go undetected for years. Catherine, too, suffered growing up despite having the advantage of brilliantly qualified medical parents. She and her mother tell the story of their journey of discovery with an affecting candor but that is not all they do in Backwords Forwords. They supplement their own very human narrative with an expert survey of the expertise there now is. This is valuable. A number of dyslexics have been interviewed or written short pieces for magazines, but I don’t know of any dyslesic other than Catherine who has written a book that is both an emotional story and a reference source, still less anyone who has married her own perception with that of a parent’s. Daughter and mother bravely embarked on this perilous journey across a sea of shapes and spaces and their success in conveying thought with those pesky words is a public service. 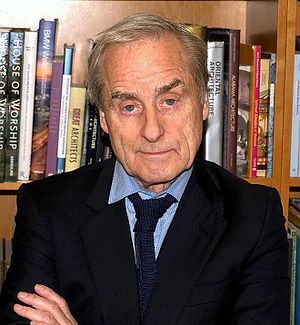 Harold Evans, former editor of The Sunday Times of London and The Times and in the US president of Random House, is the author two histories of America (The American Century and They Made America, a study of innovation.) He was knighted in 2004 for services to journalism. He lives in New York with his wife Tina Brown and their two children.